Like you, your dog loves the great outdoors. Most dogs are great cuddlers, keeping you warm on those chilly nights. Going camping together will give you the chance to spend more time bonding with your pooch. 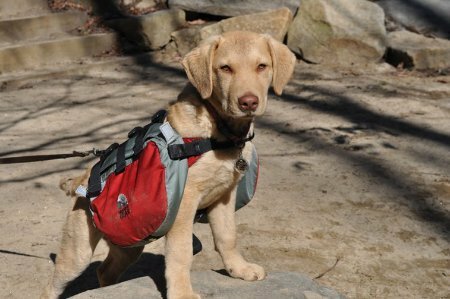 But before you pack up the gear and the dog in the car, consider these tips for camping with your dog. Stop regularly along your travel route to allow your dog to have a bathroom break, drink water and have some exercise. Should you have to leave your dog for a short period in vehicle or RV always make sure there is proper ventilation, shade and water for your dog. Try to make your dog’s travel area like home with a dog bed, blanket, toys, etc. Most importantly, constantly reassure your dog that he/she is safe, secure and loved. 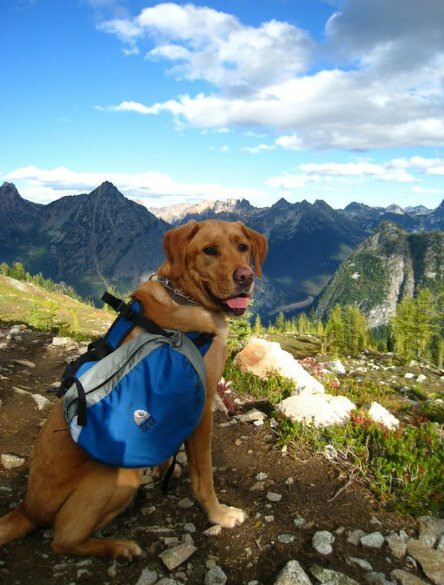 Travelling and camping with your dog not only connects you to nature but also to your pet. If you think your dog smiles when you go for a walk, bounces when you give it a treat, or rolls over for some loving rubs wait for the reaction you get when your dog goes camping. Camping can be a dog’s dream come true…and for that matter yours as well. Why are dogs man’s best friend? Can I store my cat or dog’s canned food in the garage? How do I store open cans of cat or dog food? dospad.net on What are the Benefits of Using a Mattress Topper? Noemi on What are the Benefits of Using a Mattress Topper? cheap jordans on Why Dogs are Man’s Best friends?